The Genesee District Library hosts the Annual Black History Month Brunch, a community event that recognizes people who make a positive impact in Genesee County. The GDL’s biggest event provides an opportunity for the community to celebrate the contributions of African Americans to world history. The 17th annual event was held on February 3 at the Genesys Conference & Banquet Center in Grand Blanc. Entertainment included a performance by a cappella group Linkin’ Bridge, out of Louisville, Kentucky, that made it to the finals in Season 11 of America’s Got Talent. This year, the recipient of the Partner in Progress Award is Communities First, Inc. The Award of Excellence recipients are Pastor Jeffery Hawkins, Charles “Chuckii” Montgomery, Jr., and Sam Wells. The honorees were recognized at the banquet. Communities First, Inc., is a nonprofit community development corporation founded in 2010 by Glenn and Essence Wilson. 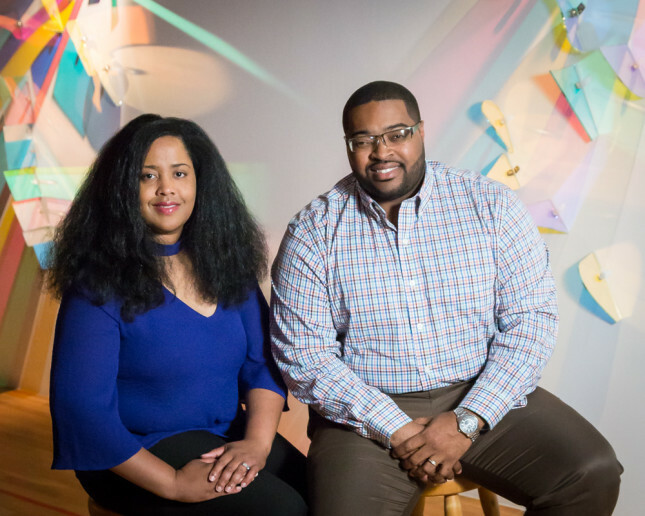 The couple has led the organization in raising more than $30 million to make the Flint community a better place for all. The organization’s mission is to build healthy, vibrant communities through economic development, affordable housing and innovative programs. Glenn serves as the President and CEO and Essence is the Chief Strategy Officer. As Flint natives, they use their passion for Flint to make a difference in their community. Not only do they steer the impactful nonprofit, they also serve on a variety of boards and committees to enhance the lives of residents in Flint and Genesee County. Over the past seven years, the Wilsons have led Communities First, Inc. to international recognition. The organization developed Oak Street Senior Apartments, Swayze Court Apartments and Coolidge Park Apartments, which provide housing to individuals in need. The impact of Communities First, Inc. is felt by 17,000 people, and the organization engages over 250 volunteers annually. In addition, their work includes the innovative programs Culture Shock, which introduces families to art and culture opportunities in unique ways; and Green Life, which provides environmental education to residents and businesses. Rev. Jeffery Hawkins, Sr. was called to preach in 2002, matriculated through Midwestern Baptist College, and began pastoring in 2006. Pastor Hawkins has served as the Senior Pastor of Prince of Peace Missionary Baptist Church for ten years. He is the Co-Founder of Alternative Solutions Development Corporation and is actively involved in the community. He sits on the boards of the Community Foundation of Greater Flint Small Grants, Crime Stoppers, Eagles Nest Academy and Flint Strive. Under his leadership, numerous outreach ministries to assist the community were created. 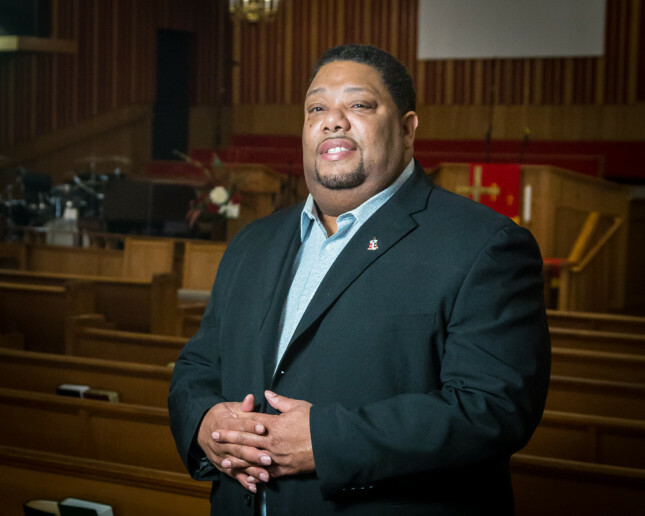 Pastor Hawkins became involved in the Cease Fire Initiative, as well as C.A.U.T.I.O.N. to assist in making Flint a better place to live and to help combat the senseless violence that plagues this city. He has played an instrumental role in serving the residents of Flint during the Water Crisis by delivering bottled water to the community. The recipient of many honors and awards, Pastor Hawkins is a national icon among pastors. As a servant-leader, he visits the sick and the incarcerated, serves a community breakfast every Wednesday and Friday and counsels members privately. “I am honored to receive this award,” Hawkins says. “It humbles me for anyone to see the work that I’ve been called to do and show appreciation for it.” Rev. Hawkins is married to April Cook-Hawkins. Together, they serve as Pastor and First Lady of Prince of Peace Missionary Baptist Church. Charles “Chuckii” Montgomery, Jr. works in management at General Motors. He initiated several community projects such as the Kappa Alpha Psi Turkey Giveaway, which provides over 1,000 Thanksgiving baskets to local families. He serviced local schools during the Flint Water Crisis and participated in Hurricane Relief efforts in Houston, Texas, the Real Men Wear Pink Campaign for the American Cancer Society and Back 2 School Kuts, which provided 100 boys with free haircuts. 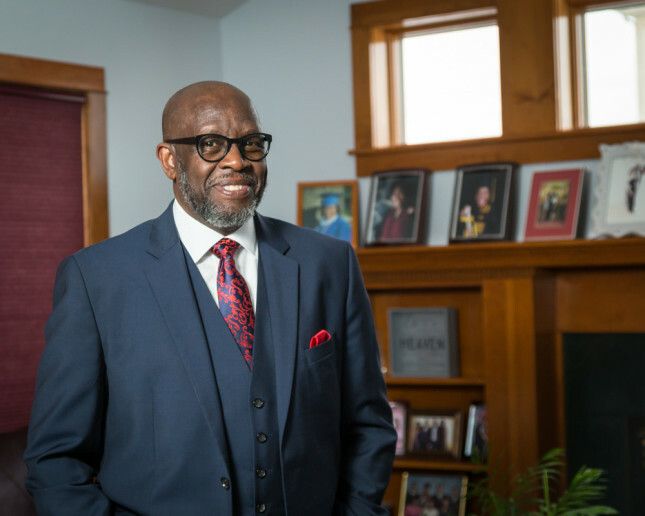 He has volunteered with Junior Achievement, is an advisor to the Kappa Leadership League, served as Past Polemarch of the Flint Alumni Chapter of Kappa Alpha Psi, and serves as assistant to the Keeper of Records for the Northern Province of Kappa Alpha Psi covering Michigan, Ohio, Buffalo and Syracuse, NY. Montgomery was also honored with the Big Brothers Big Sisters’ Big Brother of the Year Award. A proud member of the Metropolitan Baptist Church, he has served in many ministries, including the music ministry, for over 30 years. 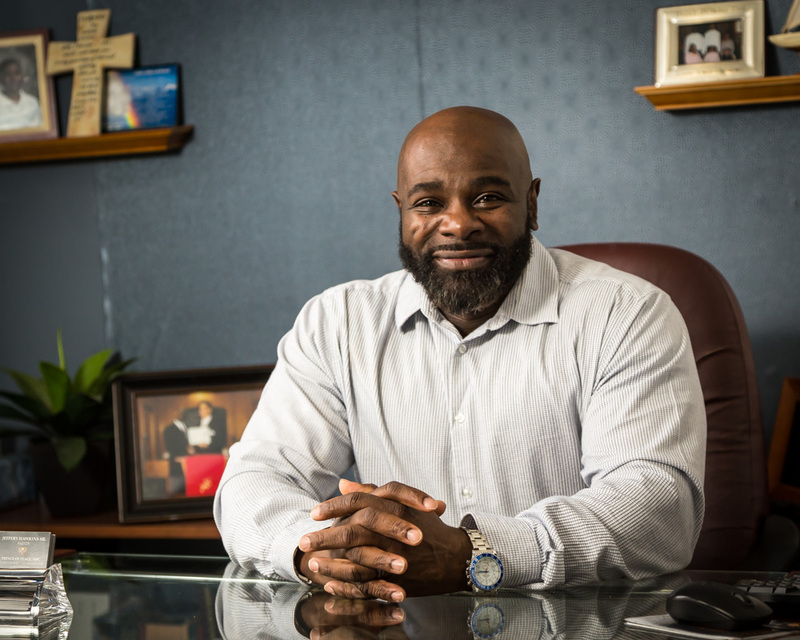 Montgomery is a graduate of Flint Community Schools and the Detroit College of Business, where he received a bachelor’s degree in Business Administration and Marketing. He and his wife, JaVonda, share two boys and two girls. Senior Director of Sales for Inteva Products, LLC based in Troy, Wells retired from Delphi Corporation in 2008 after 33 years of service. He is a member of Alpha Phi Alpha Fraternity, Inc., Flint Alumni Chapter where he has held a number of leadership positions. Wells is also an advisor for The Alpha Esquire Mentoring & Leadership Program and has been involved in mentoring over 250 young African-American men. In June 2002, Wells was instrumental in establishing a scholarship component for the Esquire Mentoring & Leadership Program. He led the fundraising charge which resulted in over $190,000 in academic and book scholarships, laptops and other academic excellence awards. He has served on the Board of Directors of Big Brothers Big Sisters of Greater Flint, The Urban League of Flint, Planned Parenthood of Eastern Michigan and Recovery Unlimited. Wells is a graduate of Flint Northwestern High School and a 1979 Graduate of Kettering University. Additionally, he has completed executive development courses at Duke University Fuqua School of Business and the University of Michigan Business School. He and his wife, Faye, have two children.